She was a graduate from London's famous Cordwainers in 2004, before she spent some time working at Ungaro and Giambattista Valli. In 2007, she took a leap of faith as she launched her own line of shoes under the eponymous name of Charlotte Olympia. 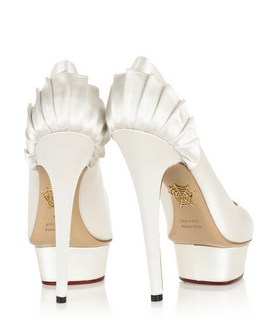 Yes, it is her own name, Charlotte Olympia Dellal. Her design philosophy is focused on femininity and glamour of the old times. 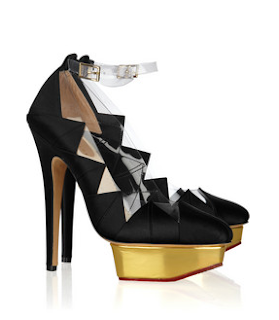 She is inspired by the allure of classic shapes polished with the finest materials. 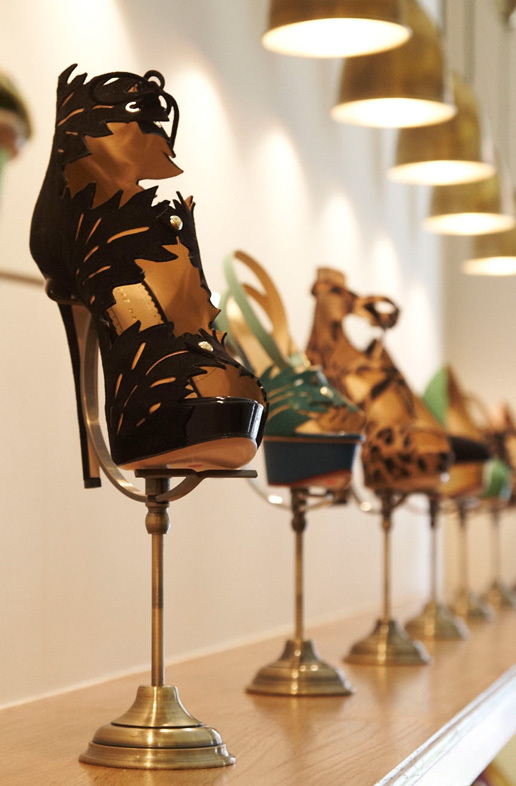 Each shoe is individually handcrafted in Italy, and the brand is renowned for its meticulous attention to detail. 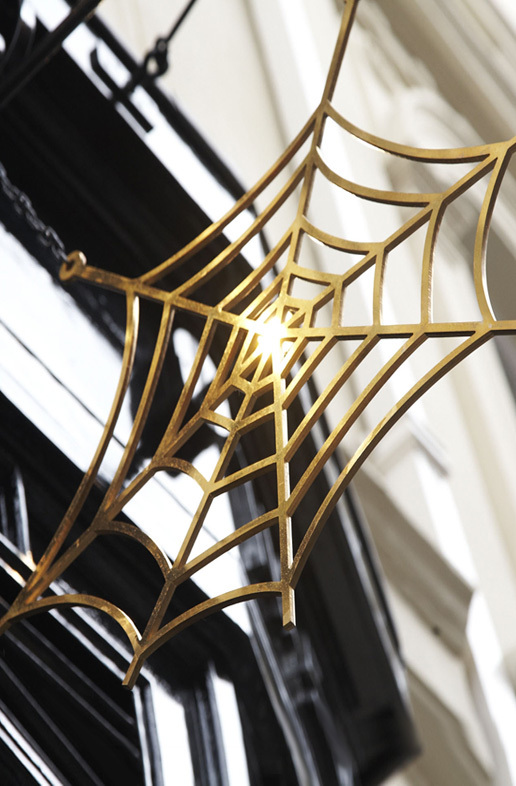 Spot a Charlotte Olympia by the signature gold spider web on the sole. The flagship store in London's Mayfair, UK. 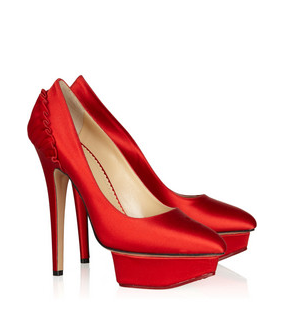 Here are some Charlottes that are currently in stock at Net-a-Porter. I really love the Paloma with fan-pleat details on the back. 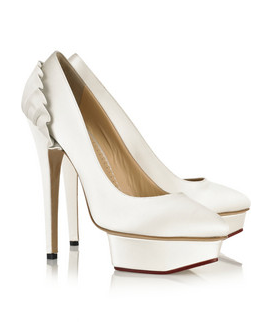 The most gorgeous shoes ever! Look at the neat fan-pleat overlay at the back. 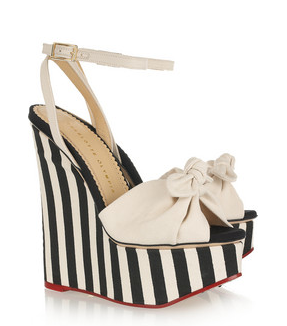 And it's pointed-toe. I'm head over heels. I wonder if anyone ever wear this beautiful baby to a nuptial? White satin is, after all, best suited for wedding ceremonies, the most romantic celebration of love.